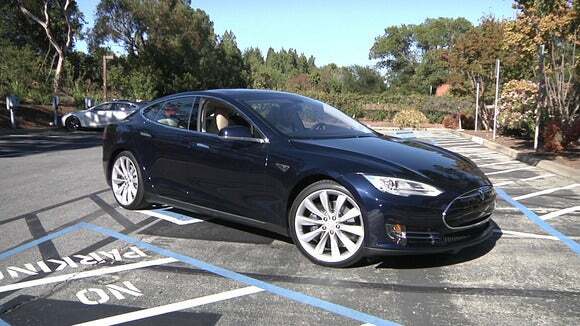 All cars produced by Tesla, including Model S and Model X, will have the hardware. Tesla Motors’ cars will come fitted with full self-driving hardware, as the company jousts with tech rivals like Google and car makers like Ford who are making a dash for the autonomous car market. Model S and Model X cars with the inbuilt hardware are already in production and customers can buy one, Tesla said Wednesday. But the features possible with the new hardware will be enabled only later through over-the-air updates after testing over “millions of miles of real-world driving,” Tesla added. The company is evidently not taking chances after deaths in accidents involving Tesla cars in China and Florida raised some questions about the readiness of autonomous technology. In the Florida instance, it was confirmed that Tesla’s Autopilot technology for driver-assistance was activated, while in the China incident, Tesla said it does not have sufficient data to establish that the technology was engaged. The company has since then upgraded the Autopilot technology, adding radar as a primary control sensor. 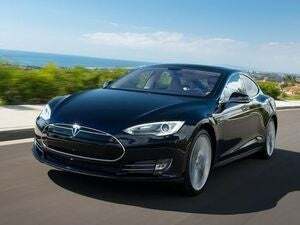 The radar was added to all Tesla vehicles in October 2014 as part of the Autopilot hardware suite, but was only meant to be a supplementary sensor to the primary camera and image processing system, Tesla said. CEO Elon Musk told reporters Wednesday that it would take the company some time into the future to complete validation of the software and to get the required regulatory approval, the Wall Street Journal reported. The company said that as of Wednesday all cars, including Model 3, produced in its factory will have the hardware needed for full self-driving capability “at a safety level substantially greater than that of a human driver.” The full self-driving capability would put the car at Level 5 classification of SAE International, which describes a car for which no human intervention is required for driving tasks like steering, braking, accelerating and monitoring the vehicle and roadway, apart from determining destinations and waypoints. The company is equipping its cars with eight surround cameras that provide 360 degree visibility around the car at up to 250 meters of range, 12 updated ultrasonic sensors to complement this vision by allowing the detection of both hard and soft objects at nearly twice the distance of the previous system, and a forward-facing radar that uses a redundant wavelength to see through heavy rain, fog, dust and even the car ahead, Tesla wrote in a blog post. The data will be processed on a neural net that runs on an onboard computer that is 40 times more powerful than the previous generation of Tesla computers. While the company tests the new cars for safety and convenience, the vehicles will temporarily lack certain features currently available on Teslas with first-generation Autopilot hardware. These include standard safety features such as automatic emergency braking, collision warning, lane holding and active cruise control, Tesla said. “As these features are robustly validated we will enable them over the air, together with a rapidly expanding set of entirely new features,” it added. Musk said his goal is to demonstrate a vehicle traveling in fully autonomous mode from Los Angeles to New York by the end of next year, according to the WSJ report. Other car makers are racing to meet similar deadlines. Ford said in August it intends to have a high volume, fully autonomous vehicle in commercial operation in a ride hailing or sharing service by 2021. Uber has started testing in Pittsburgh, Pennsylvania, a self-driving ride-hailing service, while rival Lyft is working with General Motors on developing a network of autonomous vehicles.